Poised on the outskirts of Philadelphia, with its original plan of neighborhood parks created by William Penn to be the “Green Country Towne,” Lansdowne – despite its one square mile – possesses a plethora of parks rivalling any municipality throughout the county. From Hoffman Park, with its tennis courts and Darby Creek scenery, to Sycamore Park, with the wizened elder tree observing the generations of Lansdowne residents, the Lansdowne Parks system contains parks that cater to all residents in Lansdowne. To maximize the benefits of the parks, the Lansdowne Democrats are committed to maintain the parks as a place of recreation for all of the residents of Lansdowne. Hoffman Park will contain a scenic walkway along the Darby Creek Trail with plans to connect to the Darby Creek Greenway. How do we plan to maintain our parks? This past year, Borough Council through the recommendations of the Lansdowne Parks and Recreation Board committed to the refurbishing of the basketball courts and tennis courts at Hoffman Park. Although the setbacks caused by flooding and unforeseen complications in the work set us behind schedule, we will be re-opening the courts this fall. Hoffman Park will contain a scenic walkway along the Darby Creek Trail – with plans to connect to the Darby Creek Greenway; as well as a playground for kids, a pavilion for parties, a field for soccer and baseball, and a newly redone basketball courts and tennis courts. Also, this past spring and fall, the Parks and Recreation Board has initiated a series of park improvements in Interboro Park through poison ivy remediation, tree removal, tree pruning, and tree planting. In addition, we have reached out to the local neighbors including the historic congregation of Bethel AME to identify areas of concern, as well as ideas for improvement to create a vibrant community center that allows all the neighbors to use the shared space. 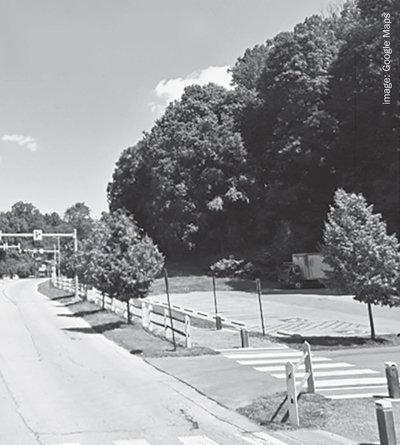 Similarly, in 2018, Lansdowne received grants to engineer and engage in renovations to Reservoir Park and to develop the Gateway Slope walkway along the intersection of Scottdale Road and Baltimore Pike. In the upcoming year, we have discussed the need to provide more opportunities for our youth to engage in recreational activities in the parks and also a place to expand the walking trails for adults to continue in healthy lifestyles. By investing in our parks, we allow the citizens of Lansdowne the opportunities to meet neighbors, to engage in community building, and to generate a sense of shared space that is often missing in our social lives. Parks allow an outlet for children to play, for adults to reflect, and for neighbors to share. Along with a development of athletic programs for adults and children in Lansdowne, a continued investment in our parks preserves the ethos of Lansdowne in supporting the goals of environmental protection. By maintaining open spaces and natural spaces within our Borough, we also provide the location for local, native species to exist alongside us. Our community maintains the long-standing reputation as an Arbor City, USA community, and currently we are in the process of becoming a member of the Audubon Society’s Bird Town, USA to recognize the Bird Sanctuary that is maintained in Lansdowne’s natural areas. Through the dedication of our elected officials and appointed Board members, we commit to maintaining Lansdowne as a center of Green activity – care for the Earth’s health, our neighbors’ health, and for the health of our community.